When comparing wage data from 2017 to 2018, more than 75% of jobs in the US plastics industry experienced wage increases above the current inflation rate of 2.1%. 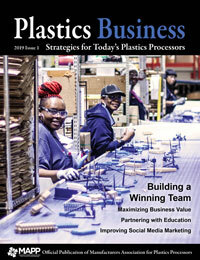 Across the board, plastics manufacturing positions experienced an average of nearly 5% increases in compensation, according to the most recent Wage and Salary Report published by the Manufacturers Association for Plastics Processors (MAPP). Now in its 16th year, MAPP’s annual Wage and Salary Report analyzes data collected from plastics executives and human resources personnel on reported wages for nearly 60 different job classifications within plastics manufacturing organizations. The 2018 report includes data from more than 200 US plastics manufacturing companies across 32 states, representing just shy of 43,000 full-time and part-time employees. Of the nearly 60 job titles analyzed in this year’s report, 50% of the positions revealed a greater than 5% growth in compensation. At the time of this article, the current unemployment rate nationally stands at 3.7%, which means that manufacturers are fighting to hire, train, retain and motivate talented employees. As a result, many roles are seeing substantial increases in wages. Of the positions seeing significant gains, roles such as automation technician, process engineer, project engineer, machine operator and operations/manufacturing manager are included. This likely is a reflection of the current labor market. Plastics companies are looking to find workers on the floor to keep operations going, as well as talent to help create process and operational improvements to reduce the amount of direct labor involved and increase efficiency. 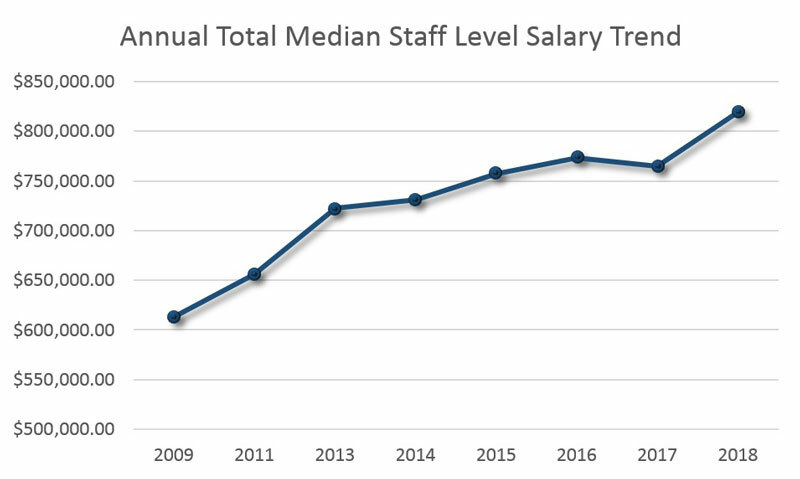 $819,312 – that is the amount that represents total median annual compensation for a combined staff-level team of the nine most common positions occupied in companies: general manager, engineering manager, human resource manager, information systems manager, maintenance manager, plant manager, purchasing manager, quality manager and sales manager. Compensation for these nine job functions has increased 7% since last year, and nearly 34% (or $206,044) since 2009. However, employers are concerned not only with rising compensation rates. 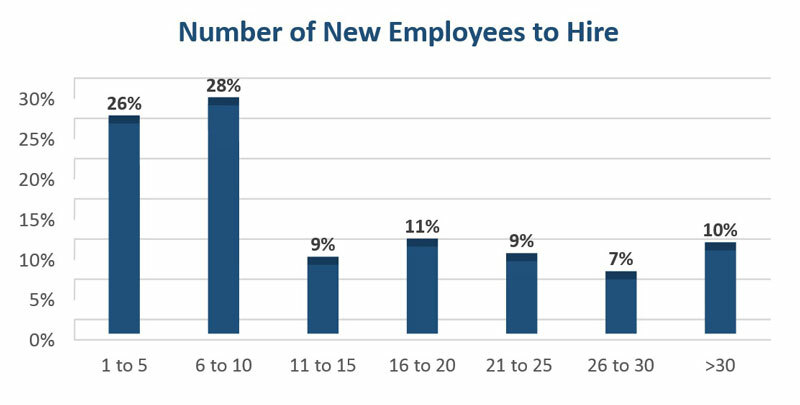 To help recruit and retain employees, companies are offering more benefits than they have historically and, as a result, employment costs overall are increasing. According to the data, when compared to just five years ago, there has been growth in the percentage of plastics processors offering health insurance (3% increase); vision (20% increase); dental (12% increase); and employee assistance programs (7% increase), to name a few. Even more, companies are offering additional merit-based annual pay increases to their teams. This means that employers are investing more into salary and benefits packages than they ever have in the past. Trends for wages and employment cost rates likely will continue to rise for many manufacturers as they head into 2019 and beyond. In 2018, 18 states increased the mandatory minimum wage. In 2019, at least 16 states’ mandatory minimum wage rates will increase again. This will particularly impact manufacturers on the East Coast and, potentially, a host of manufacturing-dense states in the Midwest, according to information from the Department of Labor. As plastics companies across the country head into 2019 and continue the process of evaluating their compensation packages – both salary and benefits – leadership should be prepared to update their current offerings to match both mandatory changes in compensation and changing expectations from employees. With more than 90% of plastics companies looking to hire over the next 12 months (more than 5,400 positions need to be filled within responding companies alone), employers need to structure their salary and benefits offerings to appeal to talented candidates. 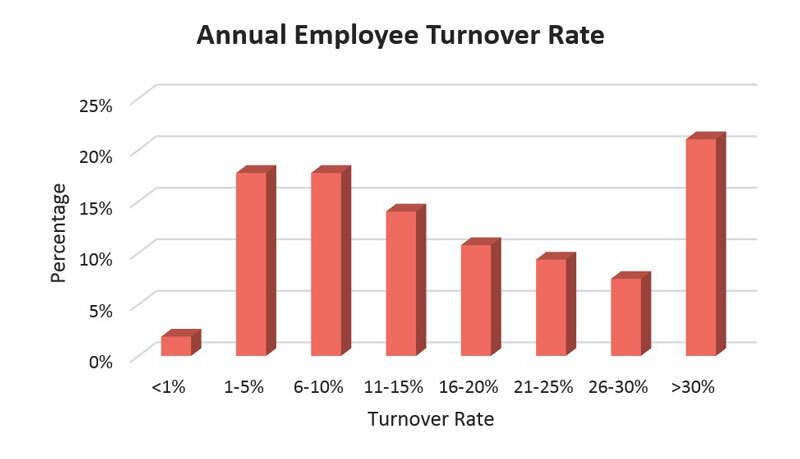 It is not only finding, but retaining, employees that remains a top concern – as companies are reporting an average annual turnover rate of 21%, up from 19% one year ago. By staying informed on the most current standards and trends, manufacturers can better create compensation offerings that attract and retain their workforce.